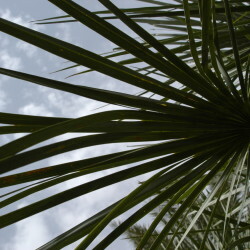 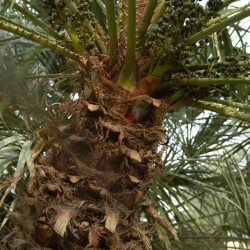 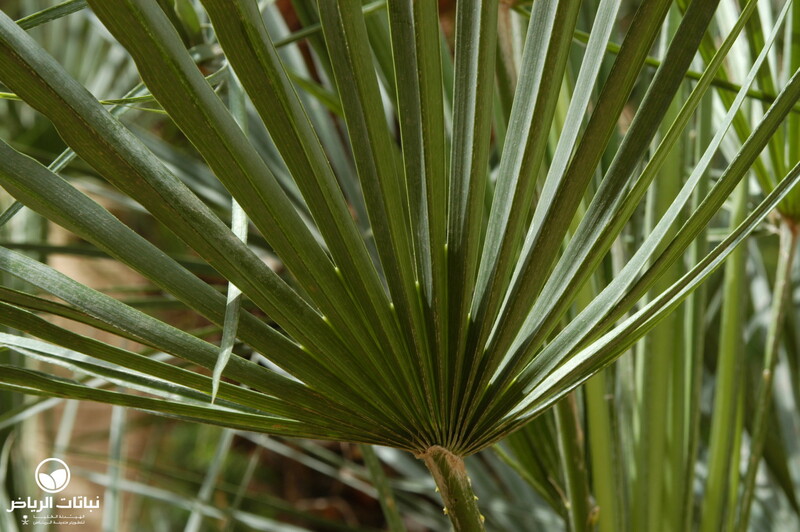 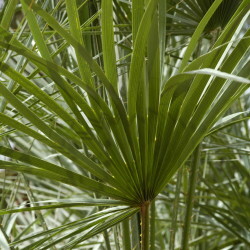 The Dwarf Fan Palm is native to the Mediterranean area and one of the few palms that are naturally growing in Europe. 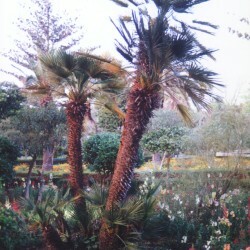 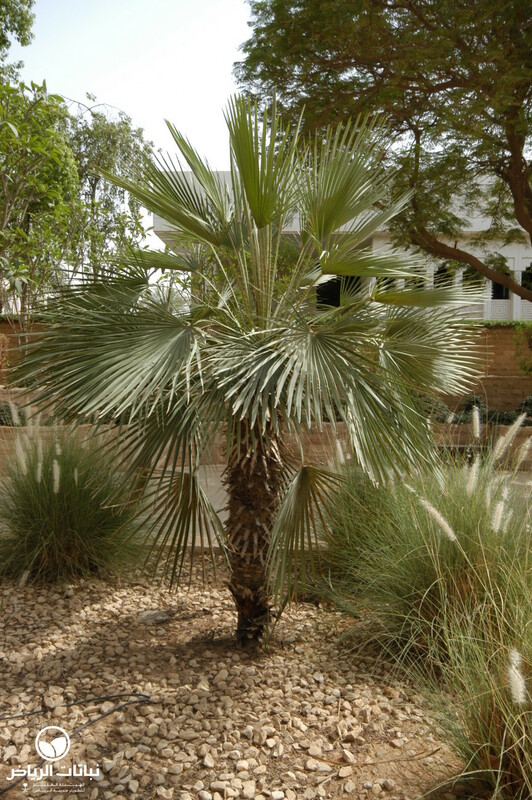 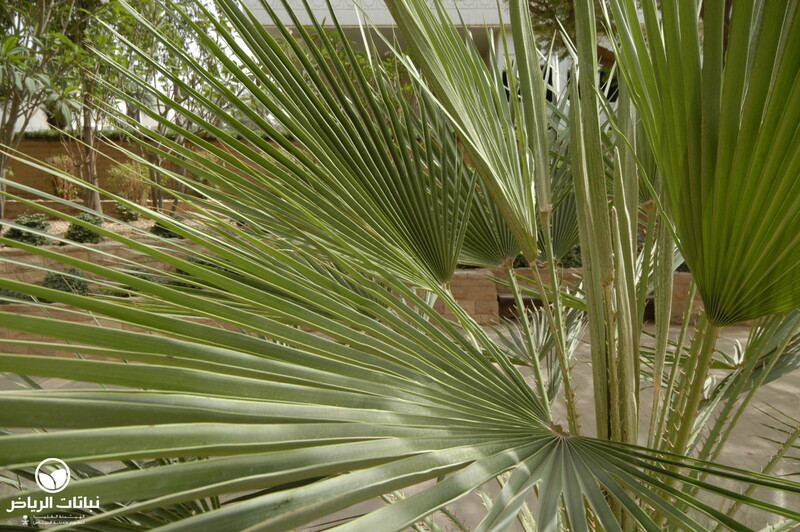 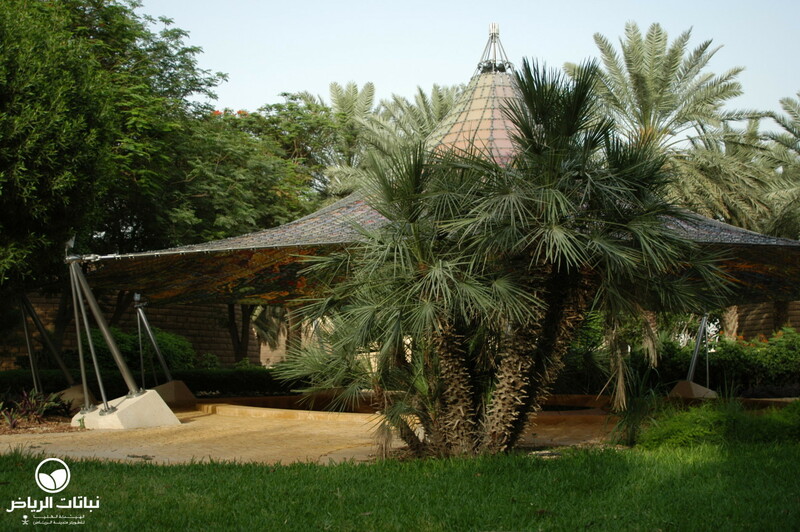 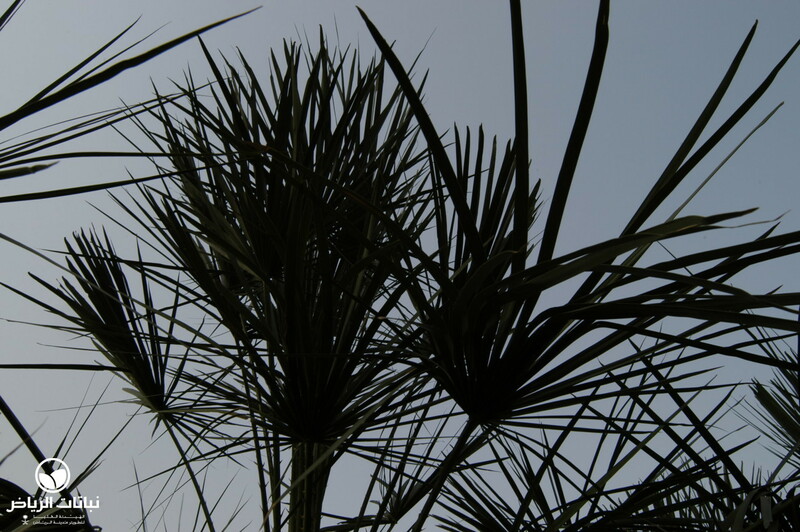 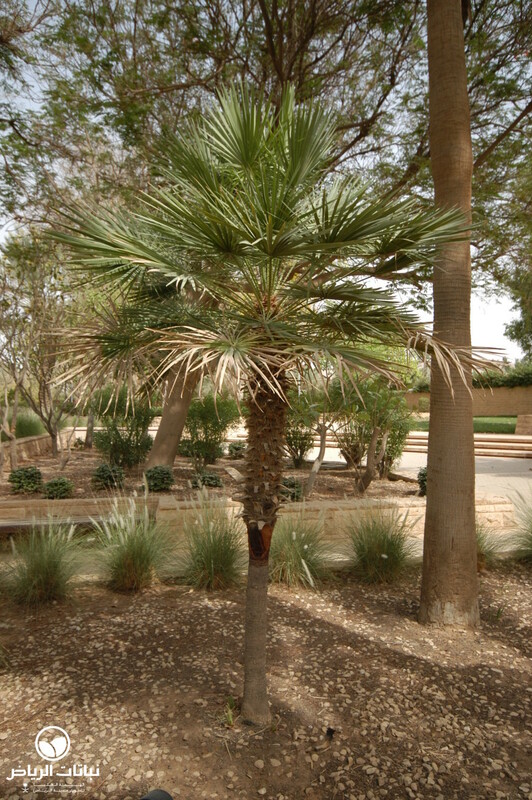 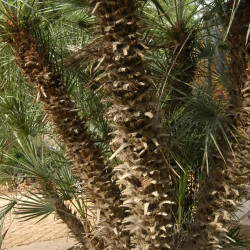 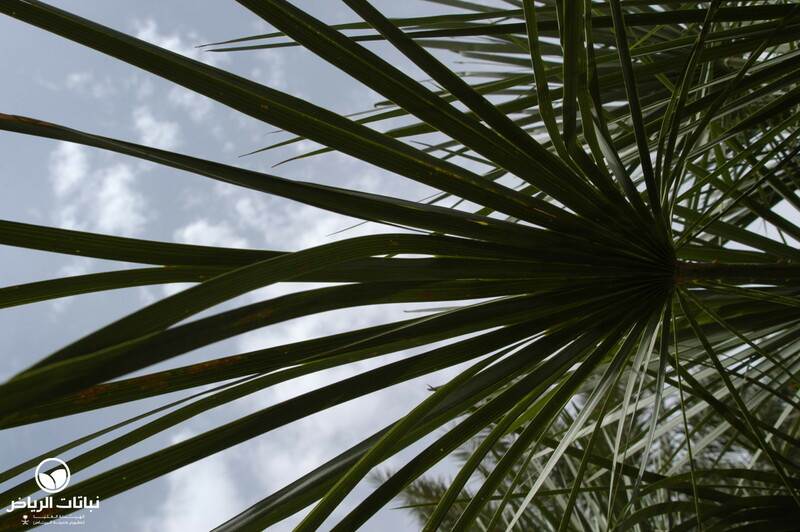 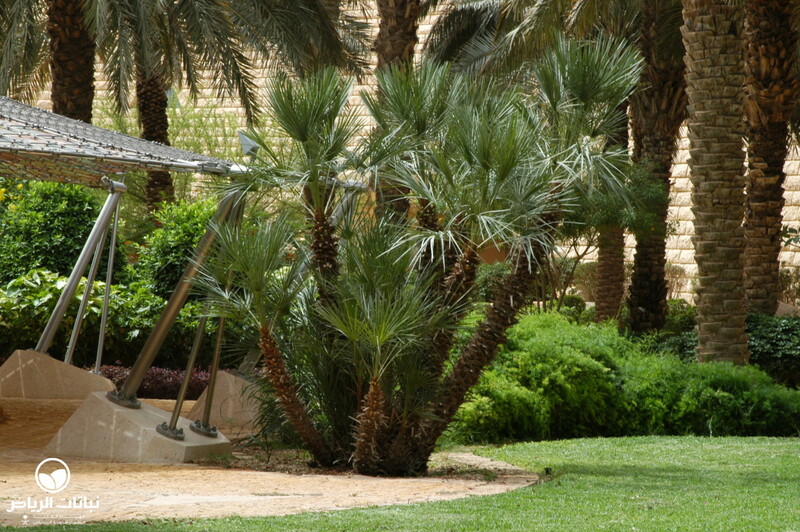 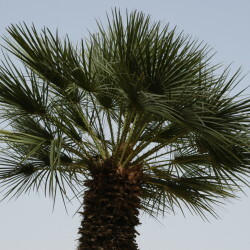 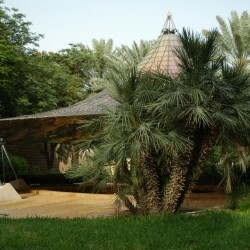 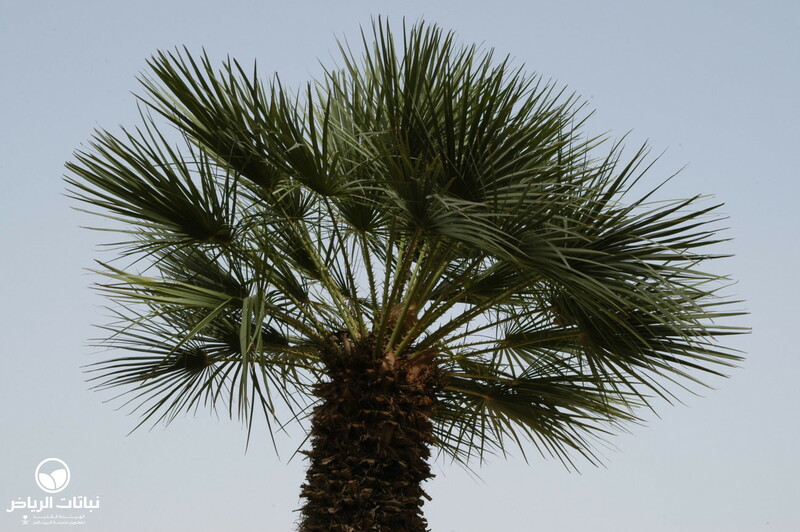 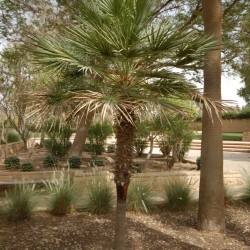 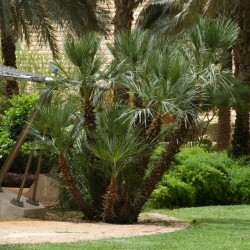 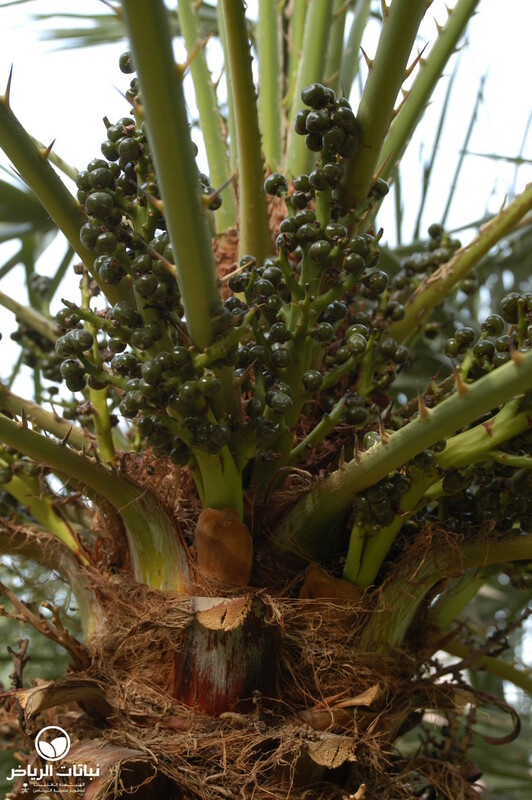 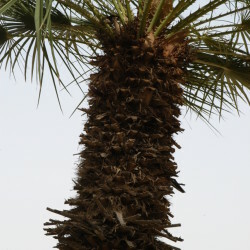 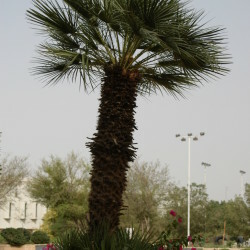 These small palms are often seen in Riyadh, where they withstand occasional cold snaps with frost well. 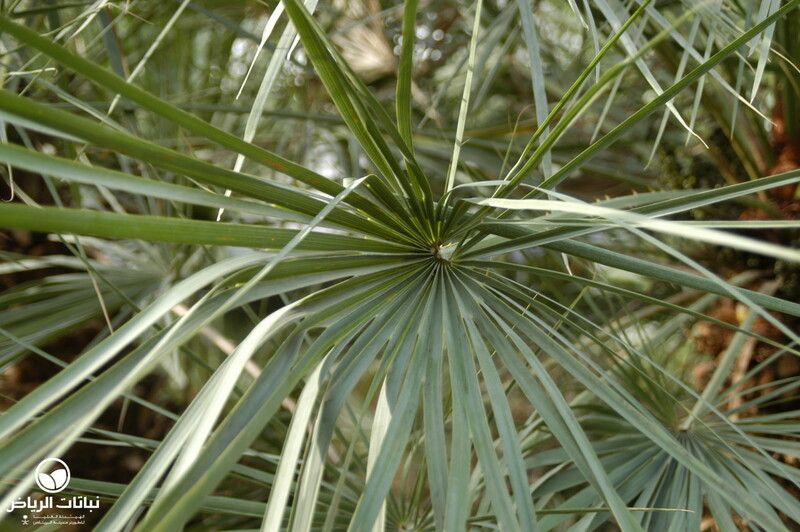 In the wild they usually have a single trunk some 4 metres high, while cultivated ones are mostly multi-stemmed. 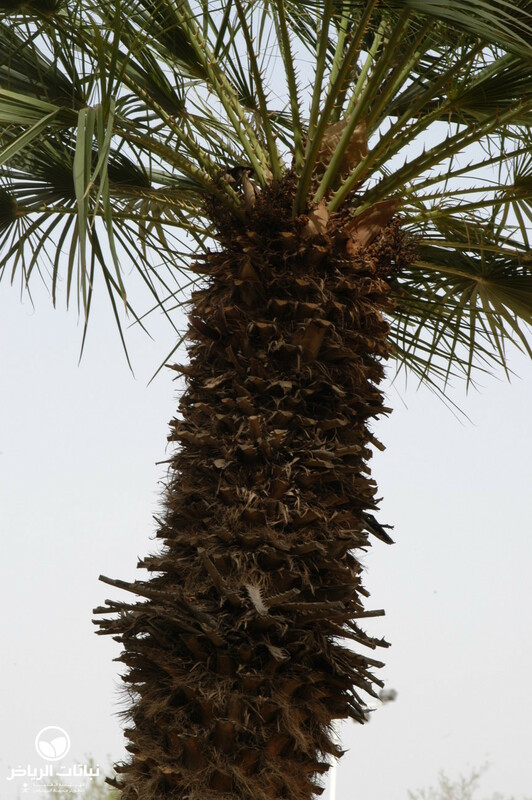 Unless trimmed the trunk is covered by remnants of old fronds. 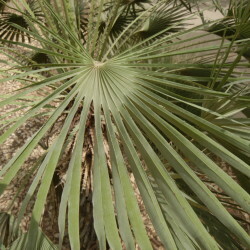 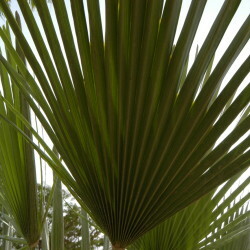 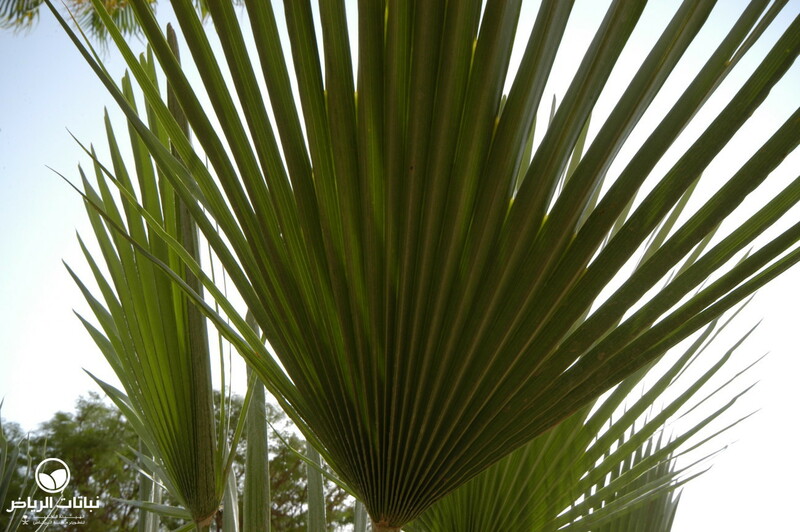 The fans are triangular spades 60 cm across and sharp thorns align the margins of the petiole that measures more than 1 metre in length. 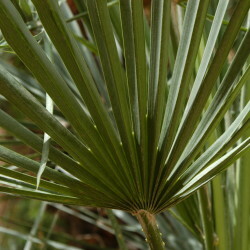 Yellow inflorescences appear in early summer at the base of the crown. 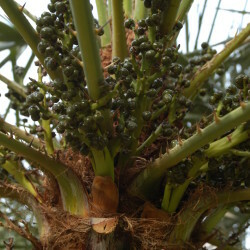 Male and female flowers usually grow on different plants. 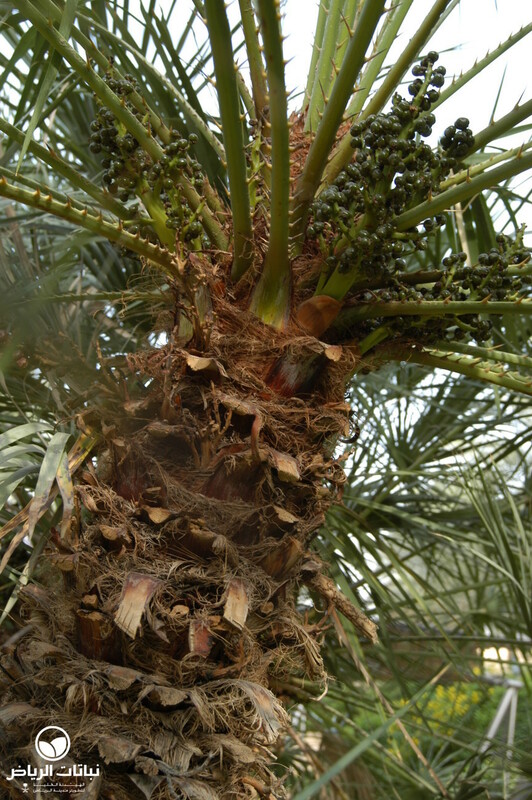 In autumn tiny, inedible dates develop to 1 cm diameter with yellow, orange or brown rind. 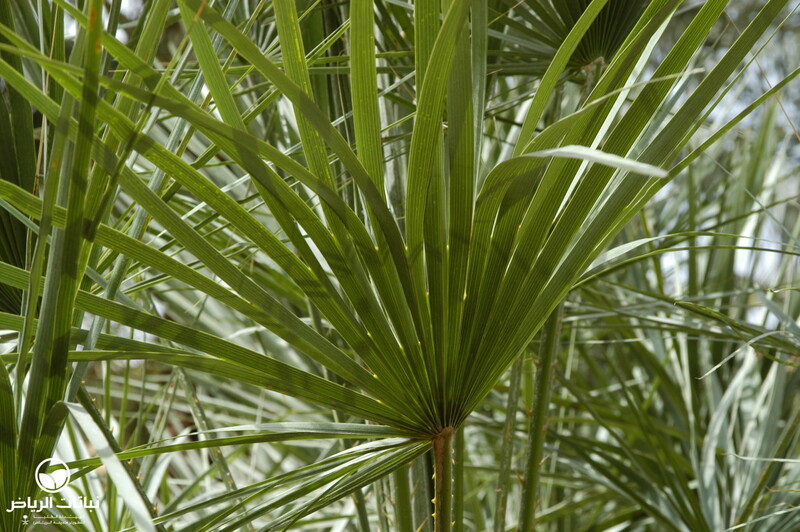 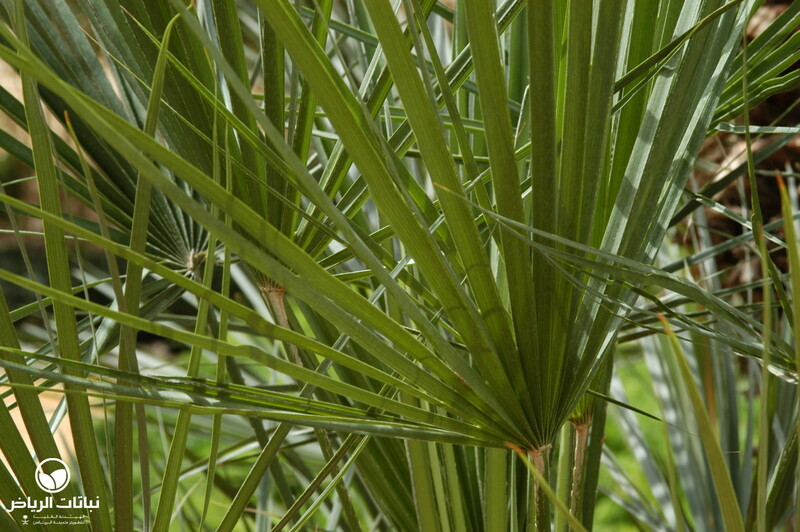 Dwarf Fan Palms are very tough and take full sun, wind and some salinity. 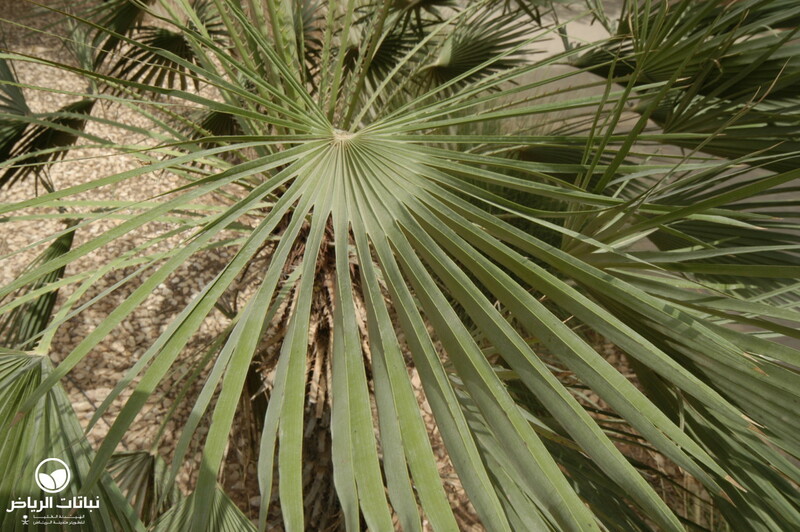 Drought is tolerated by an established specimen, but stagnant water may kill it. 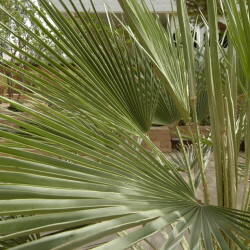 Rich, well-draining soil and deep, regular irrigation are preferred. 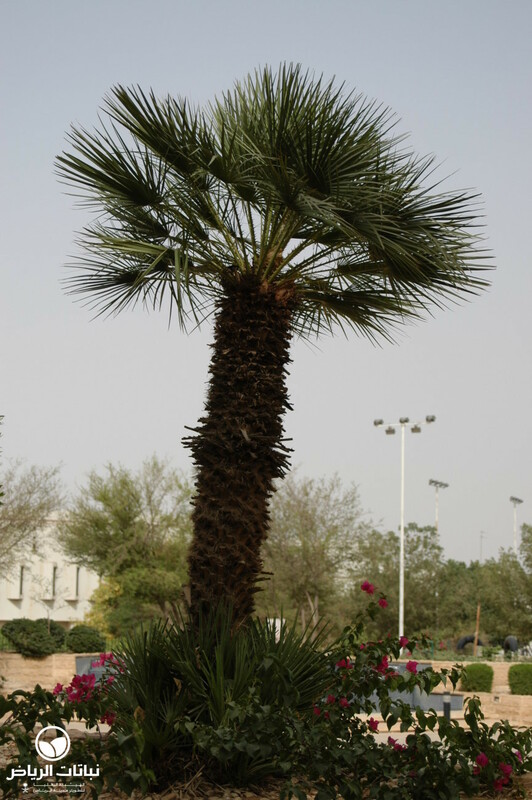 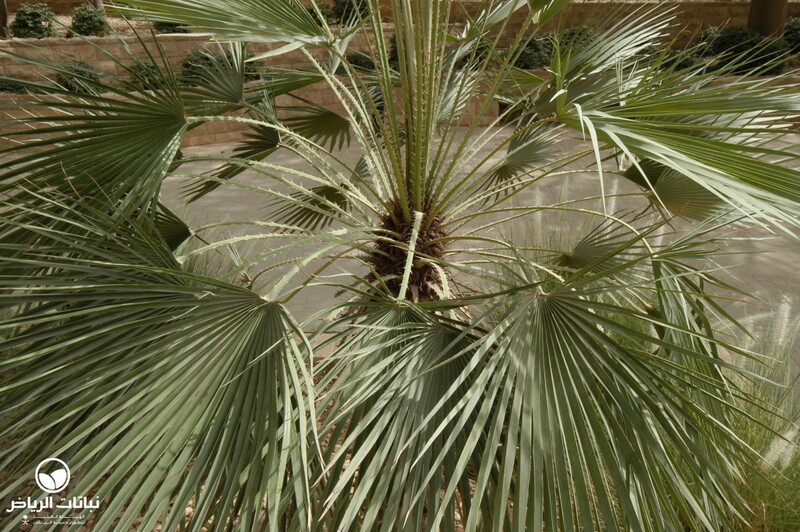 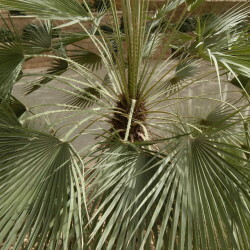 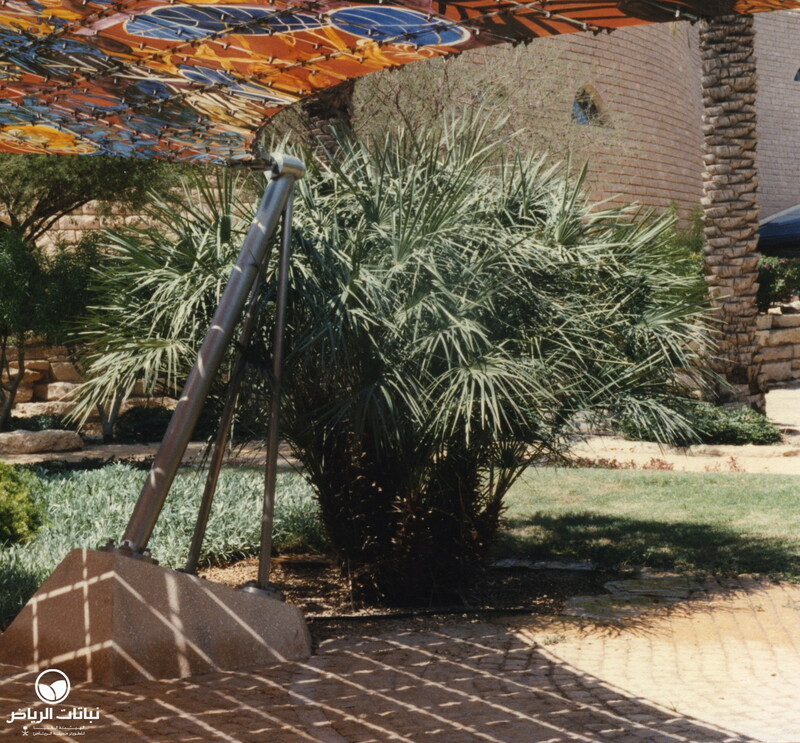 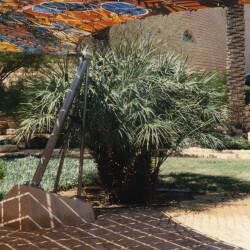 C. humilis can be planted very decoratively in Riyadh. 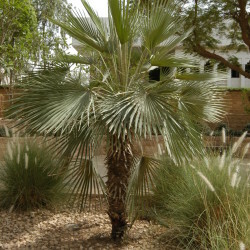 They make striking accent plants in rock gardens and containers and look good in groups on slopes where they do not have to compete with larger shrubs or trees. 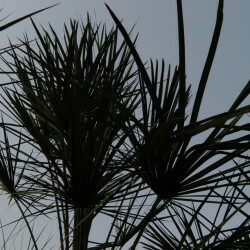 In former times the fibres were used for making mats, ropes and brooms. 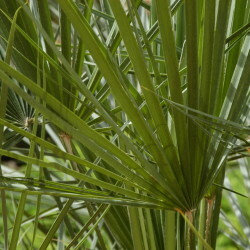 Nowadays the leaves may be fabricated as a substitute for linen or as ‘vegetable horsehair’. 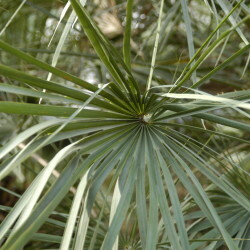 Young leaf tips may be eaten as vegetables. 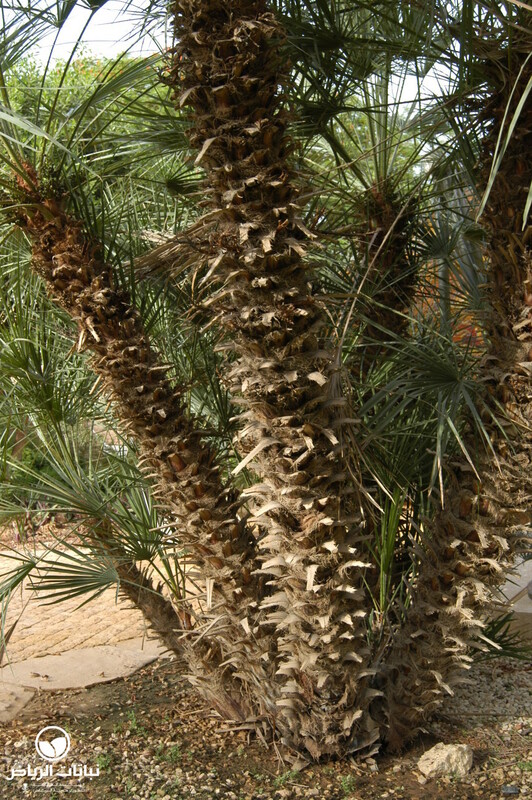 Propagation by seed is most common, but offshoots can be detached from a clump. 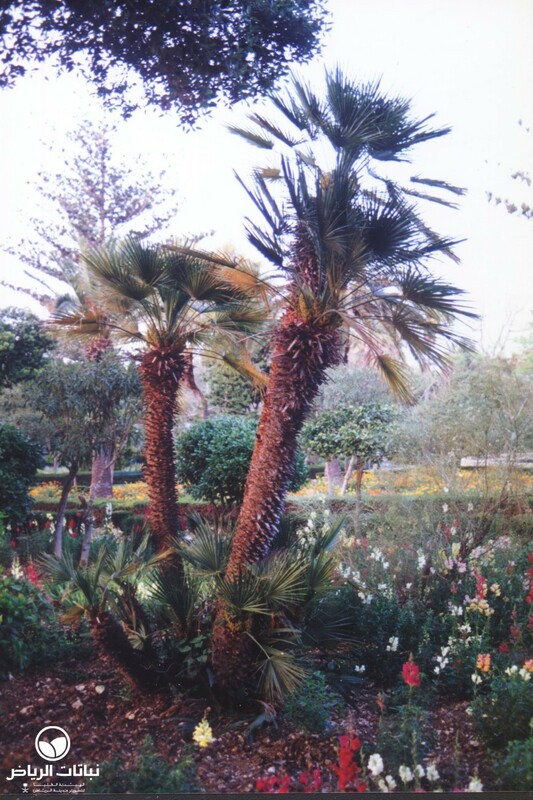 Maintenance is low: removal of dead fronds and unwanted shoots is occasionally necessary.